#1 Kansas vs. #5 Maryland. There was certainly a point in the season where these seeds would have been overall rankings and likely could have been reverse. So there’s a lot of talent in this one. Maryland has the pro talent while Kansas has the guys that thrive in the college game. 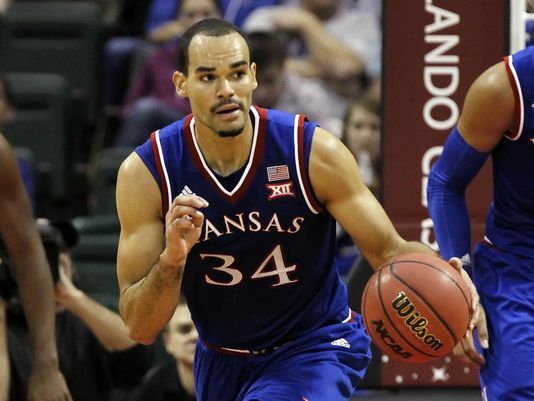 Both teams can and will push the pace, but Kansas does better protecting the ball. This is a game where Maryland won’t have much height advantage if the Jayhawks choose to bring some bodies off the bench that aren’t in their regular rotation. The Terrapins regularly use bigs Diamond Stone (6’11), Robert Carter Jr. (6’9), Michal Cekovsky (7’1), Damonte Dodd (6’11), as well as Jake Layman (6’9) as a stretch-4. Kansas counters with regulars Landen Lucas (6’10), Perry Ellis (6’8), and Jamari Traylor (6’8), but also have Carlton Bragg Jr. (6’9), Cheick Diallo (6’9), and Hunter Mickelson (6’10) on stand-by. While the bigs may influence the early part of the game as the teams feel each other out and attempt to intimidate each other, it’s the guard play that will win out. And that’s an area where Kansas has a decided advantage. Frank Mason, Wayne Selden, and Devonte Graham all have ball handling ability as well as shooting (especially from 3) prowess to boast. Brannen Greene and Svi Mykhailiuk are both sharpshooters but inconsistent at best. Maryland has lead guards Melo Trimble and Rasheed Sulaimon eating up the minutes and dominating games both positively and negatively. Jared Nickens is a long guard with a great shooting stroke who has been better of late since a terrible start and Jaylen Brantley has gotten more run and taken better care of the ball. Can the former Kansas point guard now leading as Maryland’s head coach (Mark Turgeon) beat his alma mater? Or will the top seed in the tournament put together it’s best game yet to beat a preseason title contender? One of the late games is bound to leave many going crazy late into the night. Maryland 81, Kansas 77.